I adore this series! I went through the book so fast I can't believe it's over. I need to read it again just to have more time in the world. Seeing new places in the world beyond Newcago was fun too. I still like David; also, Megan!!!!! There's action and adventure and suspense and some seriously strong world-building. But I can't handle the cliffhanger endings - give me more! Honestly, I just enjoy them so much I don't have any complaints. I'm afraid Brandon and I Still don't see eye to eye. I'm glad you enjoyed this one so much though. Sorry about the cliff hanger evening. 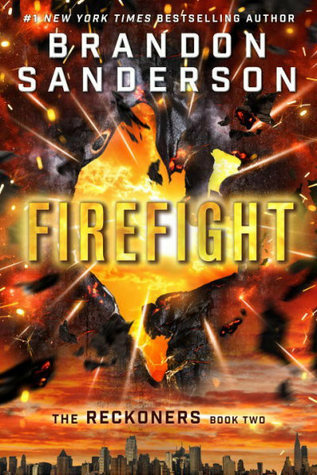 I love Brandon Sanderson, but STEELHEART just didn't do much for me. Not sure if I'll continue with the series, but I'm glad you're enjoying it so much! Hm, I'm open to hearing what your favorites of his are!